I probably should have done this post four months ago. 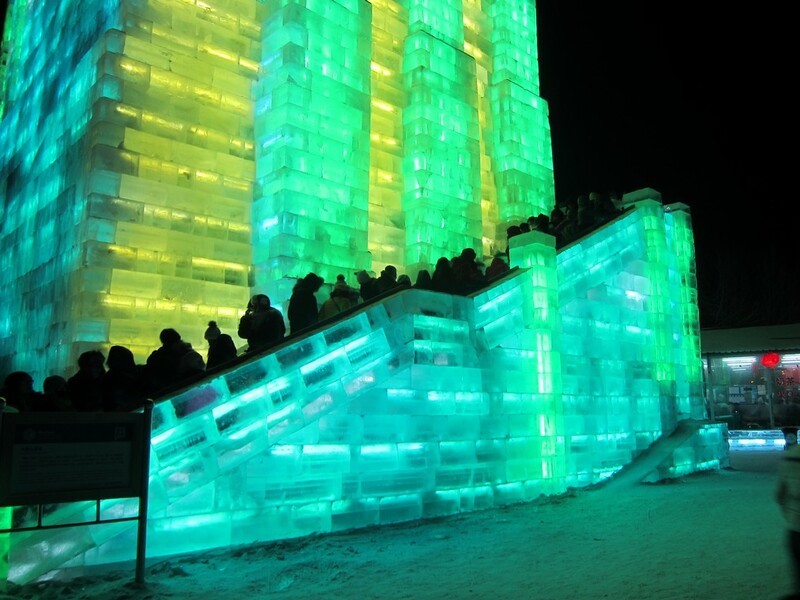 Here’s what I managed to snap, in minus 25 degree celcius. 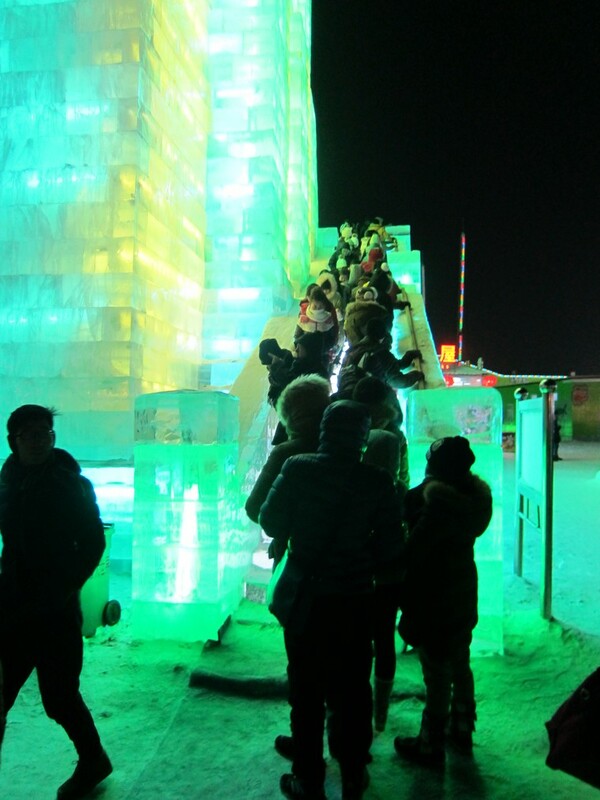 Let me introduce to you, the Harubin International Ice Festival, when we went there on the 5th of January 2015. Never been so cold in my life! 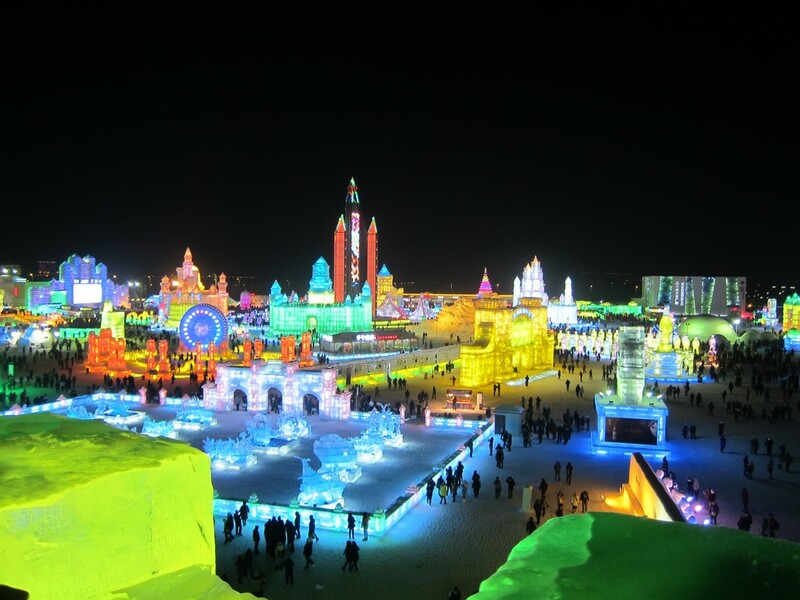 It really is a wonderland. 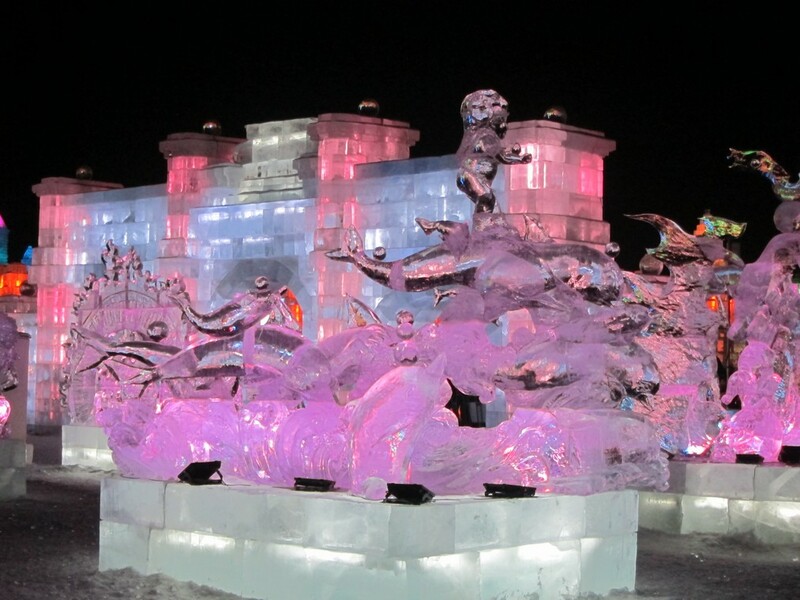 There’s lots and lots of ice sculptures. Delicately crafted. 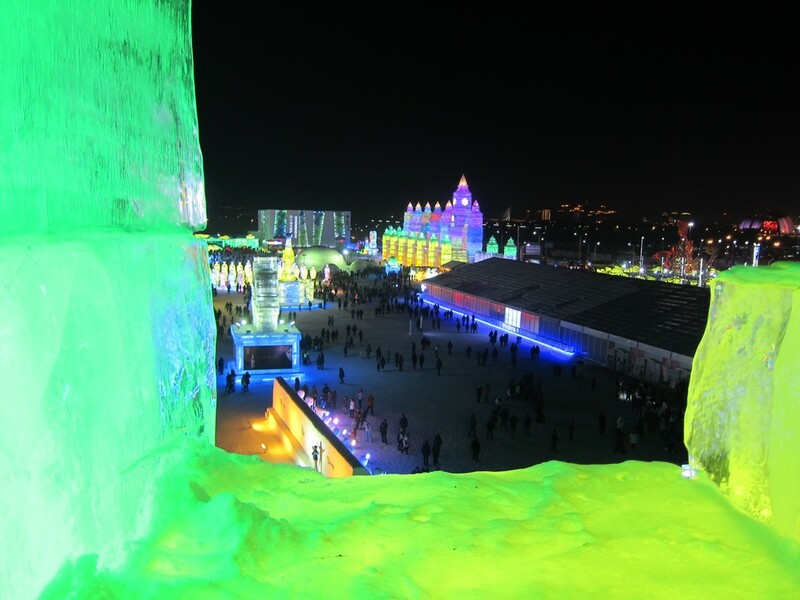 It was about minus 25 when we were there, and it feels so much colder walking around the ice. 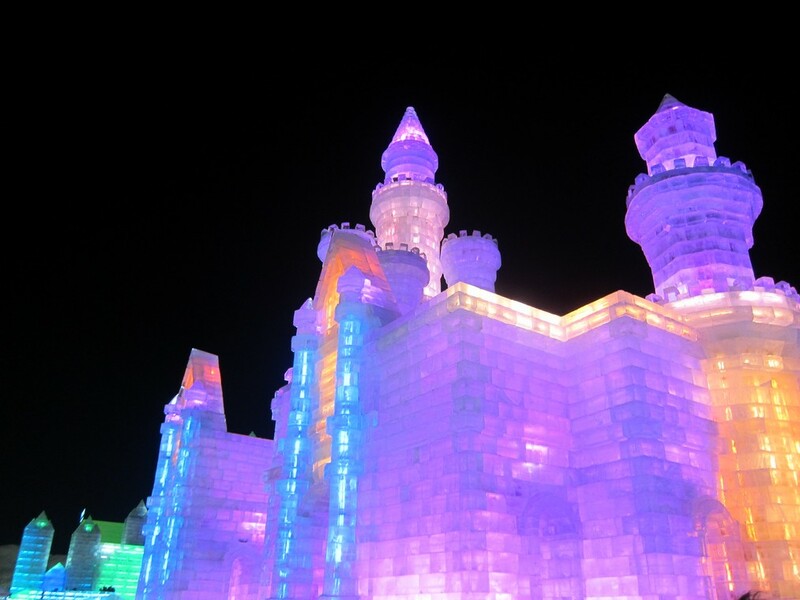 My favourite – ice castles! 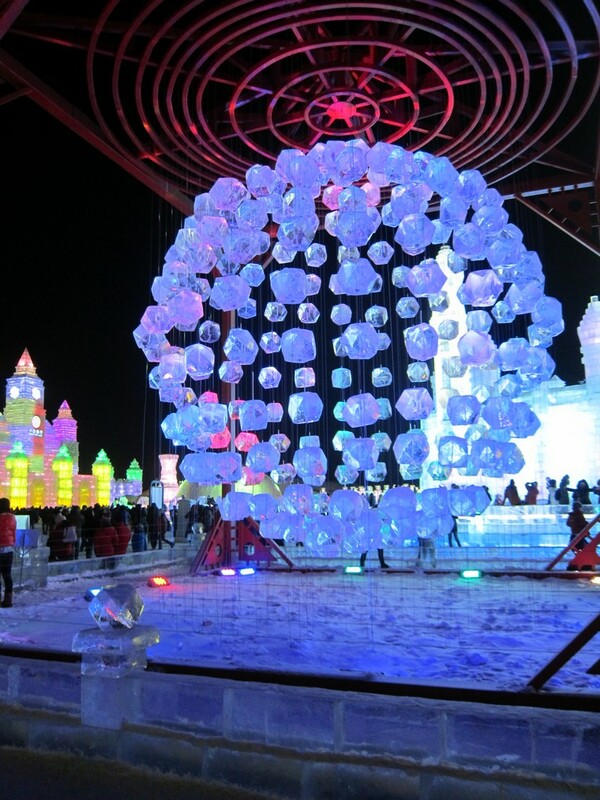 The one below is a chandelier, made entirely out of ice cubes. Amazing, isn’t it. Feeling cold just doing this post. 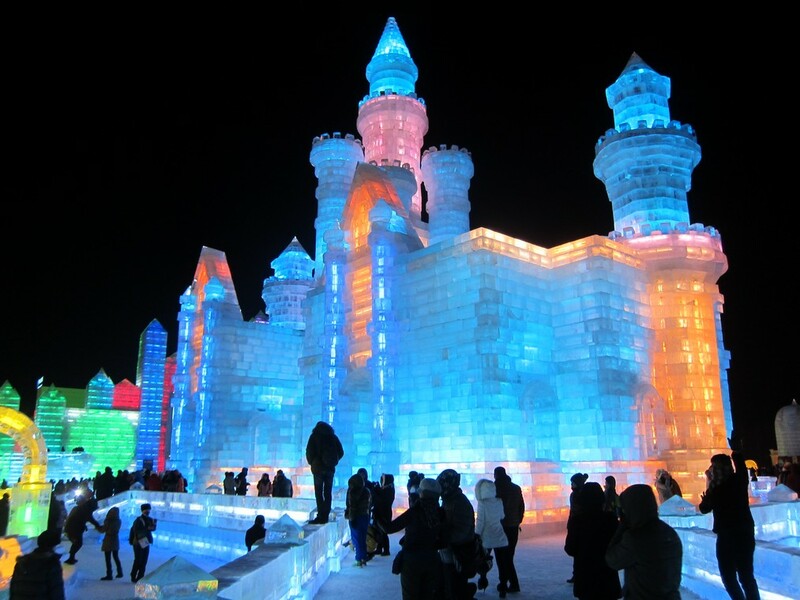 Now, back onto Dubai temperature…..
Where is this wondrous place??? ?